As every two years, the Diam Bouchage teams welcomed their customers to their stand during the 3-day show, held the 20th-22nd November 2018 at the Parc des Expositions in Bordeaux. An opportunity to enjoy a selection of Champagnes and Mytik and Diam sealed wines, including prestigious cuvées from Domaine Chevalier and Château d’Yquem. 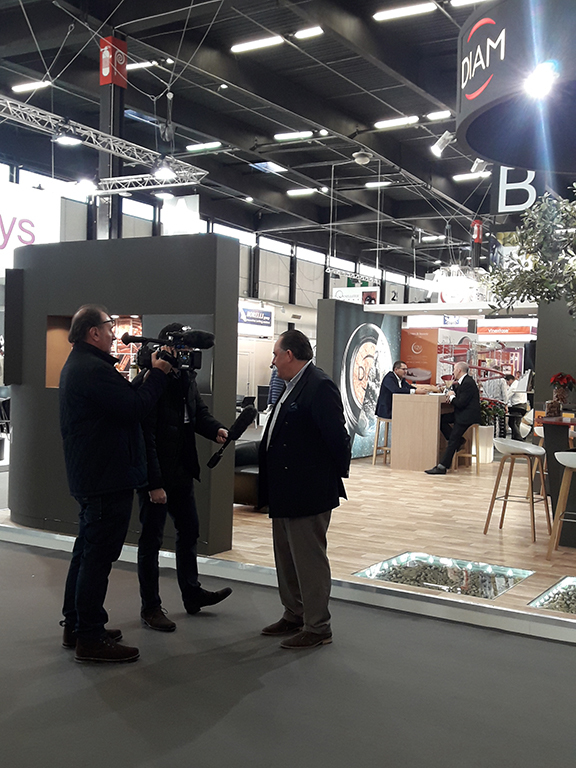 At the show, Bruno de Saizieu, Sales and Marketing Director, was interviewed by France 3 Aquitaine on the topic ‘Vinitech: has cork taint been totally eradicated?’.